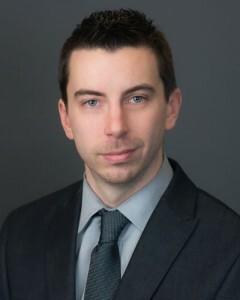 Chartwell Law recently named Nicholas R. Switach as an associate with the firm, focusing on workers’ compensation litigation. Mr. Switach is experienced representing insurance carriers and employers in all types of workers’ compensation claims, he’s represented public unions in matters relating to improper practices, grievances and other disciplinary matters, and he’s handled general municipal law pertaining to special benefits for police and firefighters. Mr. Switach, who was selected to New York Rising Stars® in 2017 and 2018, will split his time between the firm’s New York City and White Plains, New York offices. Prior to joining Chartwell Law, he was an associate with a prominent New York based law firm, where he also handled workers’ compensation litigation.